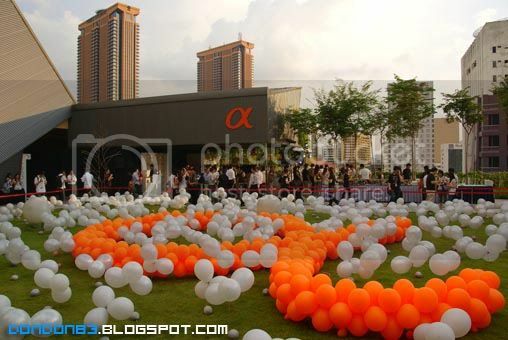 when i first reach.. i saw a BIG "a" logo arranged with balloon on the field. Before the event start, everyone is enjoying the drinks and snack provided. 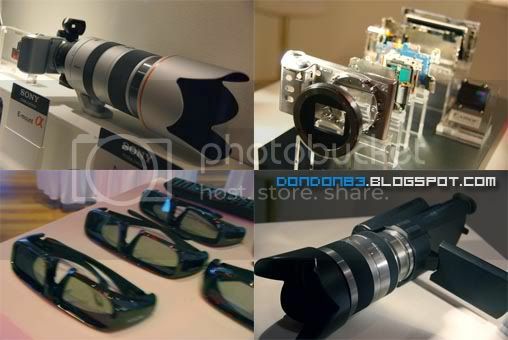 and also preview of AWESOME 3D panorama shot with NEX!!! this is cool i can say. 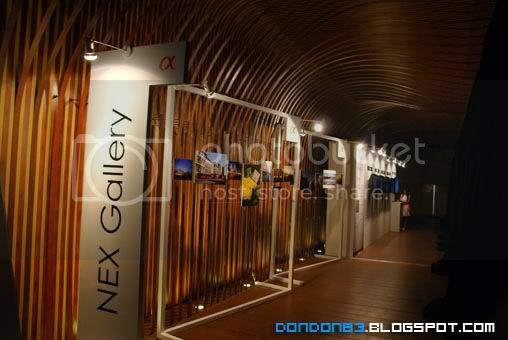 some Gallery Photos, all taken with Sony NEX. 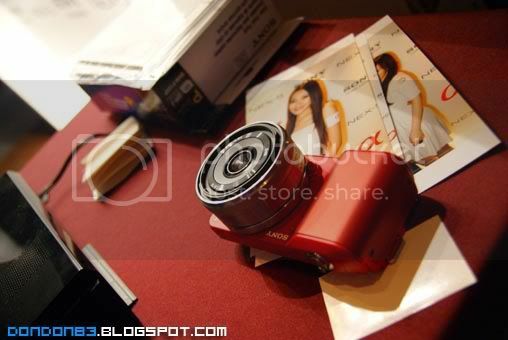 check the print out outcome from a Sony NEX. 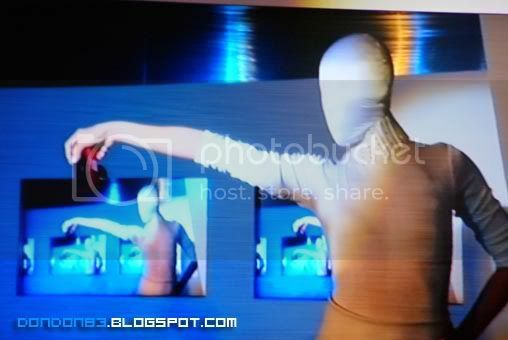 Dancer Dancing with Sony NEX Camera. 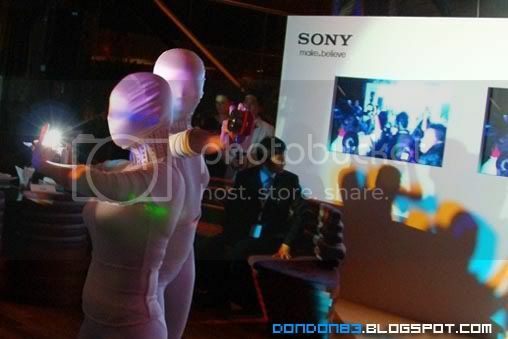 Another Dancer with Sony NEX camera. 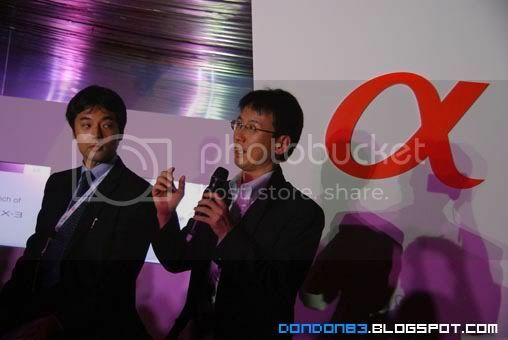 The Senior General Manager of Sony Imaging Division, Mr. Toru Katsumoto from Japan, he's here to introduce Sony NEX camera Launch! Mr. Toru Katsumoto is explaining the strength of this NEX system. 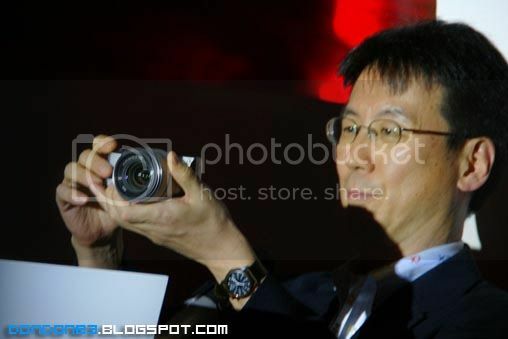 Here's the NEX-5 we waiting for..Different between 3 and 5 is just the video type and the physical design. 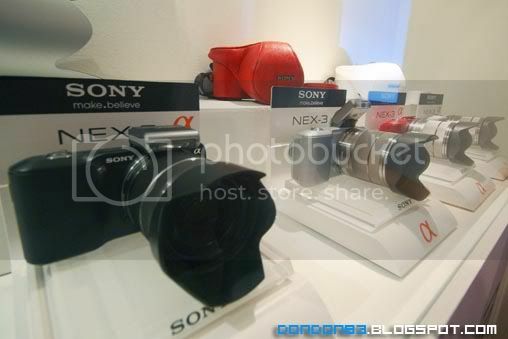 and this is the NEX-3, the design i think better. 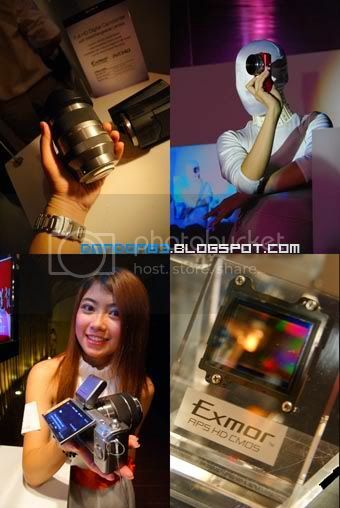 but the feel in hand.. i think NEX-5 is better. 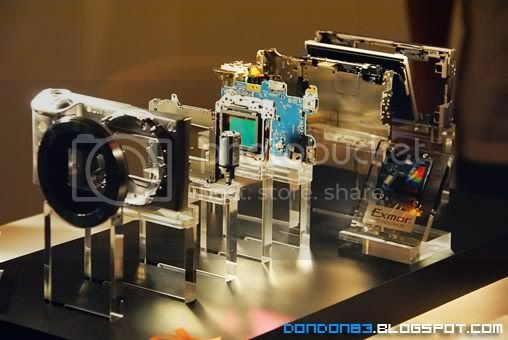 Ever Wondering what's INSIDE Sony NEX camera? here it is. The NEX Camera, lenses, accessory available all placed behind here. 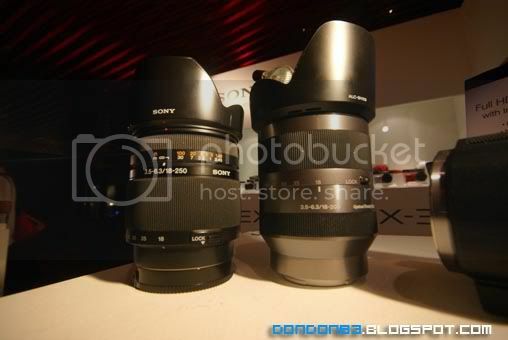 Potential of SONY NEX, sharing lenses with Sony Alpha line(with adapter), and Sony future Camcorder. 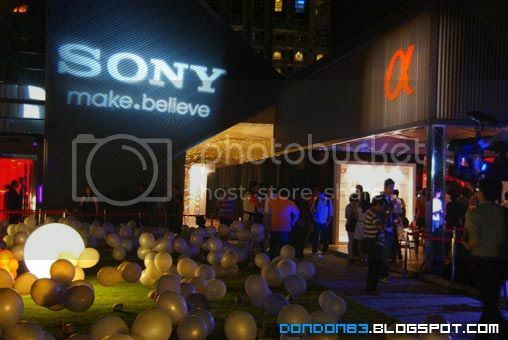 oh.. not to forget SONY NEX able to shoot a 3D Panorama picture. and the 3D preview were AWESOME!! hmph.. i believe this is the Early Prototype of NEX? 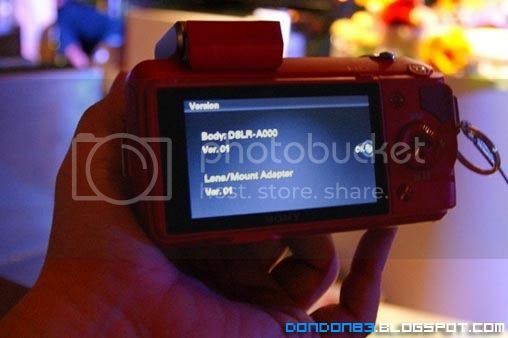 Sony A000. What's so special about this new e-Mount they just introduce? 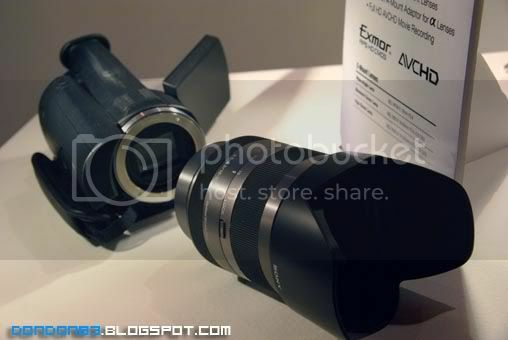 believe or not.. soon.. you can share your e mount lenses with Sony new Video Camcorder.. and you can share lenses with your camera and camcorder. 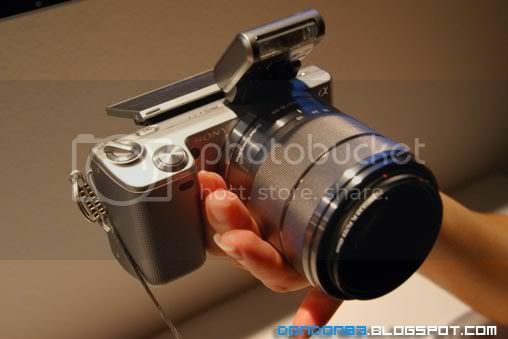 and this is the concept model of the e-mount Camcorder should look like. 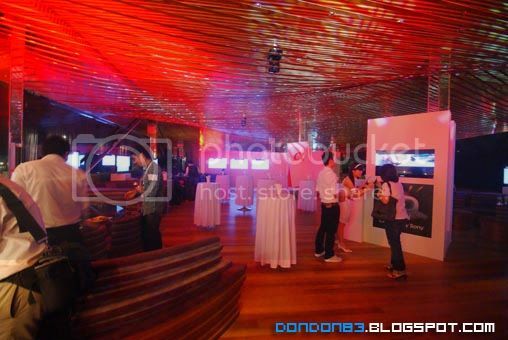 Before i leave.. a photo of the roof top of Lot 10. where the launching event held.